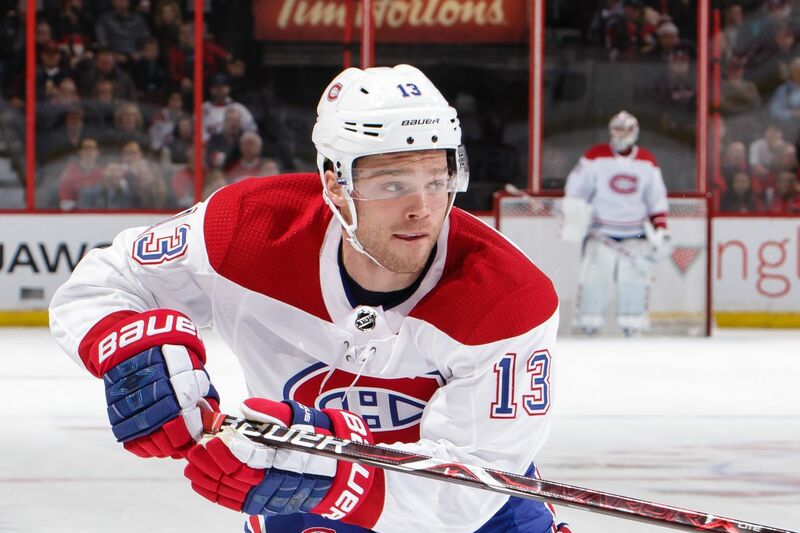 MONTREAL — What we knew about Max Domi before he landed in Montreal was that he had 222 games of NHL experience and a lot to learn. What we know about him now is that he’s taken a huge step forward and still has plenty of potential to grow. When you look at Saturday’s 7-4 win for Domi’s Montreal Canadiens over the visiting Buffalo Sabres, you can see evidence of all that from beginning to end. There was Buffalo’s first goal, which was scored by Sam Reinhart, who slipped from Domi’s coverage twice before finally burying a pass from Casey Mittelstadt. And then there was everything that came after that, a response that showed how far the 24-year-old has come since first pulling on that fabled sweater. It was early in the sixth minute of the second period that Domi profited from Canadiens defenceman Jordie Benn holding the offensive blue line to turn three Sabres inside-out with a spinning backhand pass to Andrew Shaw. It was the tic to Shaw’s tac and Artturi Lehkonen’s toe to tie the game 1-1. A highlight-reel play that arguably tops any other made by a Canadien this season. It was less than 10 minutes later — and a little over five after Brendan Gallagher notched his 32nd goal of the season to set a new career-high and put the Canadiens up 2-1 — that Domi pulled an ankle-busting move on Mittelstadt at Montreal’s blue line, rushed down the ice at top speed, and then pulled up and feathered a saucer pass onto Shaw’s stick to secure a 3-1 lead. And when things got too close for comfort in the third period after Buffalo’s Jack Eichel narrowed Montreal’s lead to 5-4, it was Domi who stepped up on the power play, firing a heat-seeker by goaltender Carter Hutton’s ear and off the back bar to make it 6-4. The tantalizing plays he made in this game are the type we’ve seen from Domi all season. The consistency with which he’s made them has been one major sign of progress, which has led him to shatter previous career-highs in every relevant statistical category (he now has 26 goals, 41 assists and 67 points in 75 games after previously maxing out at 18 goals, 36 assists and 52 points). What else is new? Showing the type of full commitment at both ends of the ice after a lackadaisical effort in the first period. The type of commitment Domi was lacking at times over his first three seasons. The type expected of a top-line centre at this level. The type a detail-oriented coach like Canadiens boss Claude Julien commands. And then there was the sequence in the third period that saw Domi exercise a measure of control after taking a Rasmus Dahlin elbow to the face that dropped him to the ice. Sure, he got angry and gave Dahlin a piece of his mind and a taste of his glove before carrying on with Jeff Skinner in a war of words. But that was a considerable departure from dropping his gloves and unexpectedly punching either player, like he did in is very first game with the Canadiens — punching Florida’s Aaron Ekblad for a five-game suspension in the pre-season. Domi said after Saturday’s game that he’s still got to find a way to control his emotions a bit more, but the fact that he’s actively working on it and showing signs of progress says much about how he’s treating his development. Where once there was doubt that Domi would in fact become a better player when he came over in the summer trade that sent Alex Galchenyuk to the Arizona Coyotes, there’s little if any remaining now. That the Winnipeg native who grew up in Toronto has come up huge all season long for Montreal — and particularly in crunch time, as the team fights to cement its place in the playoffs — is evidence of how much he’s matured.